I Have A New Favourite Foundation! If there is one makeup product that I’m extremely fussy about, it’s foundation. I stick to the same 2 foundations every day. It’s not that I haven’t tried others – I’ve tried plenty, but none have been good enough to stick around in my makeup bag and I’ve always ended up selling them. That is until now….. Yes, I have found another foundation that I LOVE – The By Terry Terrybly Densiliss foundation. 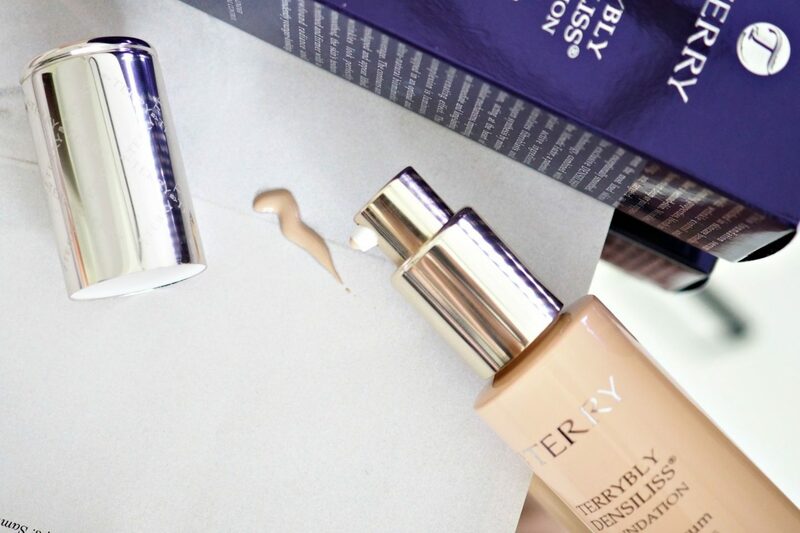 The By Terry Terrybly Densiliss is a foundation base and anti-wrinkle serum combined in one. Not only does it visibly reduce the appearance of wrinkles but it helps prevent skin from losing its elasticity. It contains the “Mimetic factor” which works to improve the production of collagen which leaves the skin feeling smoother and plumper. I’m 35 years old and I don’t have a huge amount of wrinkles but I do have some and it’s definitely more of a concern for me now than in my 20’s. This foundation/ serum is so light it doesn’t sink in and highlight my fine lines like some foundations can. 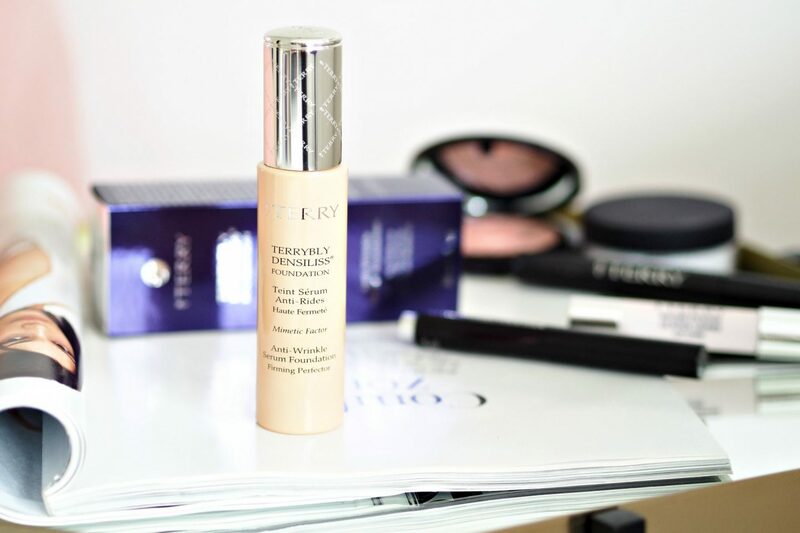 The packaging as with all By Terry products is beautiful, elegant and luxe. I feel like I’m using a special product on my face every morning, and for the price tag I really am. The foundation is housed in a glass bottle with a pump dispenser and silver/ mirror finish cap. 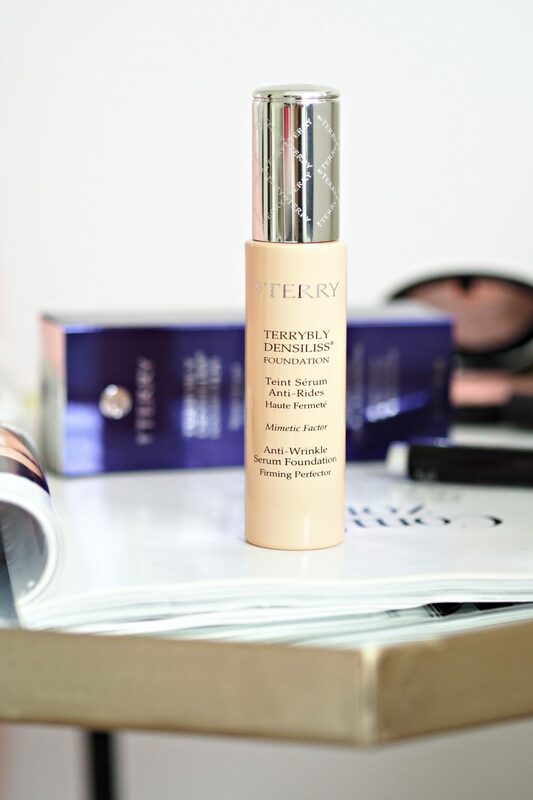 The application of the By Terry Terrybly Densiliss foundation is effortless due to its serum like consistency. It blends extremely well and almost melts into the skin. Both a foundation brush or beauty sponge work with this product but a beauty sponge will absorb a lot more of the product than a brush. I tend to apply with a brush and then pat in with a beauty sponge where I want additional coverage. 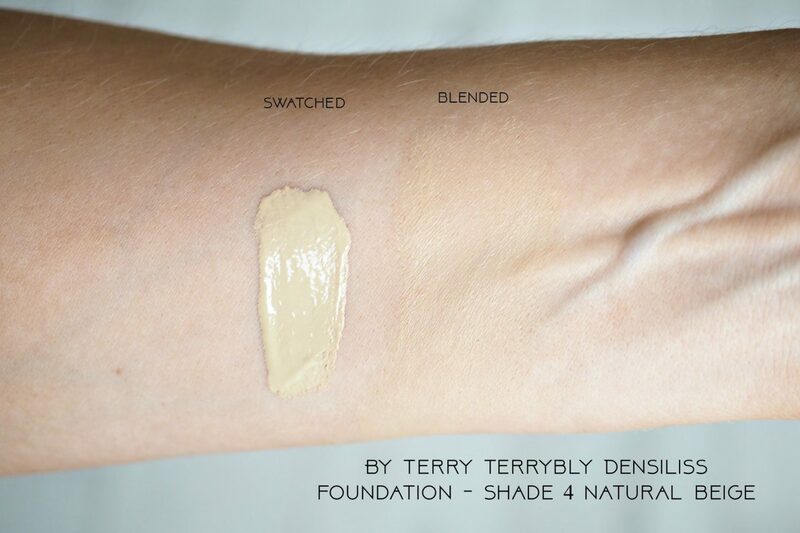 The By Terry Terrybly Densiliss foundation is marketed as a full coverage foundation. From someone who is used to wearing very thick full coverage foundations I personally wouldn’t say it’s full coverage – definitely more medium with a luminous finish. However saying that I’m converted – yes you heard that correctly! The biggest reason I love this foundation so much is that it reduces the appearance of my pores – you guys know how much I’m always harping on about them. For something that isn’t as full coverage as my normal foundations I can’t believe how my pores are blurred. Blemishes are covered and my skin looks glowy and healthy. 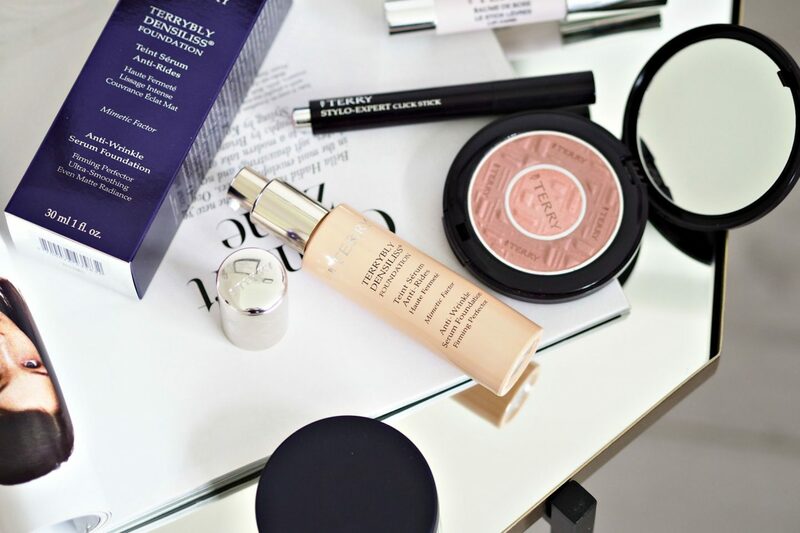 As it’s not a thick foundation it looks a lot more natural – like a second skin. The fact that I’m a full coverage addict and love this foundation speaks volumes. Hands down if I wear this foundation my skin looks the best it can. Enough said. The staying power is amazing, which is surprising given how light it feels. It sees me through the whole day at work – My pores start to show a little more after about 4 – 6 hours but I don’t get any caking or separation. As you can probably tell I love this foundation! I have it in shade 4 Natural Beige, but as I use it so much I now want to get it in shade 7 Golden Beige so I have different shades dependent on how fake tanned I am. With quality comes a higher price tag and at £78 a bottle this is definitely one of the most expensive fondations I own. If this is something you can afford then I would definitely recommend it as the finish of this foundation is nothing like I have ever seen before. You can buy the By Terry Terrybly Densiliss foundation here.